After having already proven its mettle in the Indian market, Xiaomi is seemingly going in for the kill. 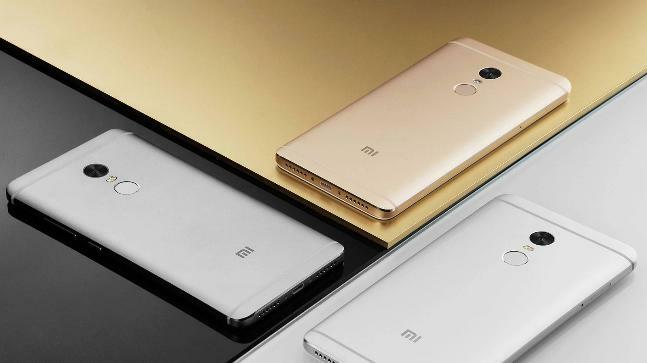 The company is planning to launch as many as 6 new phones in India this year, Xiaomi global vice-president and India head Manu Kumar Jain was quoted as saying by Livemint. If that wasn't enough, Xiaomi is also planning to open 100 exclusive stores, release new product categories, and invest more aggressively in software and internet start-ups, over the next 12 months. Xiaomi's plans to invest increasingly in India aren't surprising. India is the second biggest market for the company in question after China. It is now the biggest smartphone brand in India in terms of volumes shipped. Samsung is no longer the top smartphone company in India. For the first time in six years, Xiaomi -- a relatively new entrant in the market -- outsold Samsung in the final quarter of 2017 to become India's top smartphone vendor, according to data released by two independent research firms. While Counterpoint pegged Xiaomi's smartphone market share in India at 25 per cent during Q4 2017 based on shipments, ahead of Samsung's 23 per cent, Lenovo, Oppo and Vivo came in behind them, each with about 6 per cent market share. The research firm, however, ranked Samsung as the top seller for the year as the South Korean company was well ahead of Xiaomi in the first half of 2017. The same isn't true for Xiaomi in its home turf. It is not the number one smartphone brand in China. It's of course planning to change that, and also, it's planning to enter the US in a big way. Xiaomi is looking to extend its Western expansion -- the company already sells internet-connected devices like speakers and cameras in the US, but has so far stayed clear of launching any smartphones there -- even as it plans a highly anticipated initial public offering to raise $10 billion or more in a Hong Kong IPO in the second half of this year. But, India would be critical. It is, after all, the biggest smartphone market in the world, with lots of potential to grab. And looks like Xiaomi is planning to do just that. Only, there's a slight twist in its strategy this year even as the company is looking to dive into uncharted territory like smart TVs. Soon after launching the 55-inch Mi TV 4 in India at a ridiculously low price of Rs 39,999, Xiaomi has launched two more affordable smart TVs, aka the 32-inch and the 43-inch Mi TV 4A, in the country. While the 32-inch Mi TV 4A has been launched at a price of Rs 13,999 the bigger 43-inch version of the Mi TV 4A will cost buyers in India Rs 22,999. Both the 32-inch and the 43-inch Mi TV 4A versions will be up for grabs from Mi.com/in, Mi Home Stores and Flipkart. Unlike the Mi TV 4, Xiaomi is promising 'adequate number' of units in the case of the Mi TV 4A which is also why the company will be holding two sales in one week, one on Tuesday and another on Friday, to sell the Mi TV 4A. Both the TVs will go on sale for the first time on March 13. As for smartphones, Xiaomi is also gearing to launch the Redmi 5 in India on March 14. Launching the Redmi 5 makes sense since it would complete Xiaomi's portfolio of affordable Redmi phones in India. The Redmi 4, launched in May last year, was long due for a successor anyway. The most striking aspect of the Redmi 5, should Xiaomi launch it in India on March 14, would be the fact that it may be the most affordable bezel-less phone with an 18:9 aspect ratio in the market as and when the company starts selling it here. This particular series has always been priced aggressively at prices as low as Rs 6,999. The Redmi 5 won't likely be any different.